The SK1-41 four-inch series provides dependable, maintenance-free printers that have a fast print speed of 150mm/sec with 203 dpi resolution. 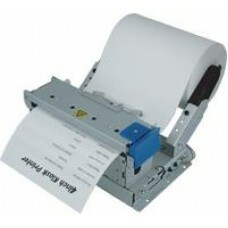 It comes in either standard format (horizontal orientation) with or without presenter. All SK1-41 models come with RS-232C and USB interface which integrates with many commonly used kiosk solutions.